For the past four years, I've had a great time learning about higher education administration. It has been an incredible experience incorporating the key concepts and theories that I learned in graduate school everyday! From crisis communication to public relations, this has been daily learning experience! One item that I really appreciate is the ability to teach while serving in higher education administration. I adore teaching undergraduate students and I love teaching graduate students as well. The social media teaching field requires me to teach and learn everyday! 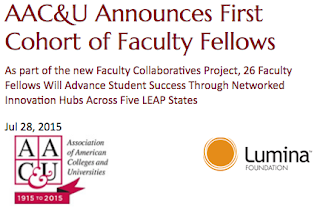 Last summer, I applied and I was selected as a Faculty Fellow for Liberal Education and America's Promise (LEAP Texas). Through this experience, I've been able to connect with other faculty fellows from across the state while learning additional concepts about teaching in higher education. I've learned about the core curriculum from the Texas Higher Education Coordinating Board. In addition to the core, one of the most life changing items that I've learned includes key concepts about assessment and the LEAP Value Rubrics. During my time as a fellow, it has been amazing to merge two of my higher education loves (teaching and social media). 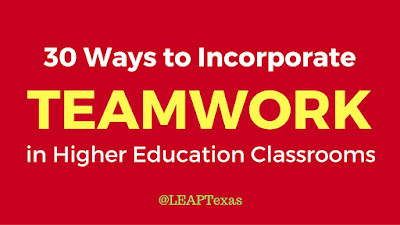 In the spring semester, I was very fortunate to present a Periscope (one of my favorite technologies) focused on "30 Ways to Incorporate Teamwork in Higher Education Classrooms". I enjoyed presenting this Periscope to the attendees and this scope is archived on the Leap Texas YouTube Account. Enjoy! Have a great week! Thanks for visiting the Millennial Professor Blog! 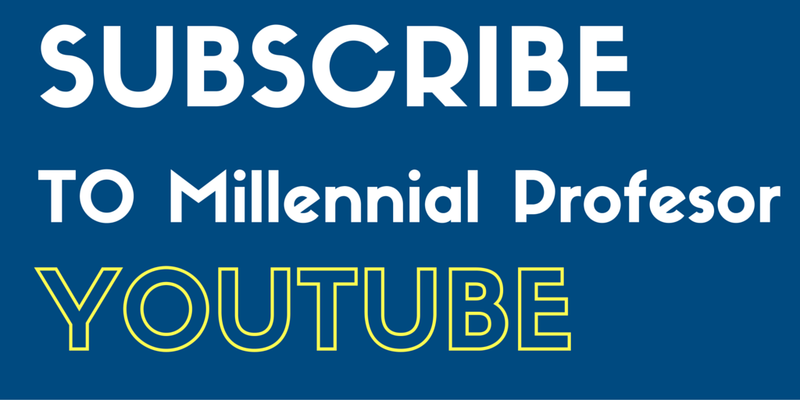 Subscribe to Millennial Professor on YOUTUBE!